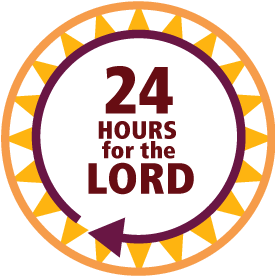 The Cathedral Parish is taking part in 24 Hours for the Lord on 29th-30th March 2019 in the Cathedral Parish Centre. At Pope Francis’ request, churches all around the world will be open for 24 hours during which there is continual Eucharistic Exposition and times for the Sacrament of Reconciliation. This is a wonderful opportunity to meet God in prayer. Bishop Michael McKenna will celebrate Mass on Friday 29th March at 5.45pm and on Saturday 30th March at 6.00pm in the Cathedral. Benediction will take place prior to Mass on Saturday evening.